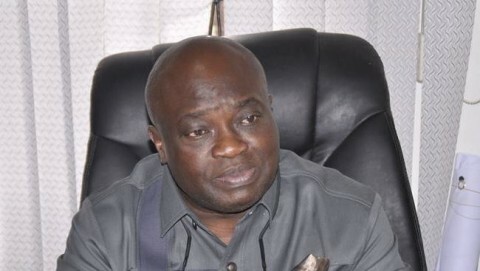 ABIA, NIGERIA (AFRICAN EXAMINER) – Two lives were lost Tuesday in a fatal auto crash which involved the convoy of Abia State Governor Dr. Okezie Ikpeazu’s wife. The victims are: Wife of the immediate past member representing Obingwa West constituency in the state House of Assembly, Chief Uche Nwankpa, Mrs. Promise Uche Nwankpa and Lady Nwamaka Maduchukwu. While confirming the incident to newsmen via a statement in Umuahia, the Abia state capital, CPS to Mrs. Okezie, Mr. Eze Ajuzie, said, “Earlier today, 03/04/2018, a fatal accident involving a vehicle in the convoy of the wife of the Governor of Abia State, occurred along Ururuka Road near Ndiolumbe in Isiala Ngwa South LGA of the state. 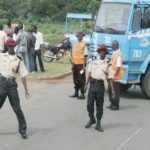 “The white Toyota Hiace Hummer bus, which was returning to Umuahia after an engagement in Obingwa LGA with some public servants and stakeholders, sadly skidded around a bend before somersaulting several times. 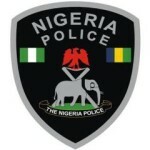 “The victims were immediately evacuated to the Federal Medical Centre Umuahia, where two persons were later pronounced dead. “Other occupants of the vehicle, currently undergoing emergency medical treatment, are responding to treatment”. The statement equally prayed for families of those who lost their loved ones and those who sustained injury. “Our hearts and prayers are with the families of the bereaved and those who sustained injuries from the unfortunate accident. “While we mourn the bereaved, we will do everything possible to ensure that the survivors continue to receive adequate medical attention to enable them recover fully and as quickly as possible” the statement assured.